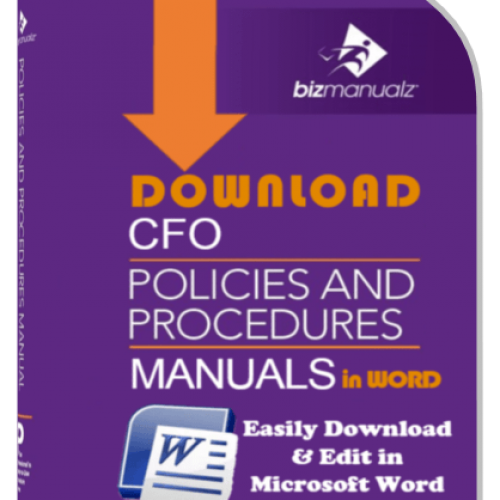 What’s the difference between policies and procedures? 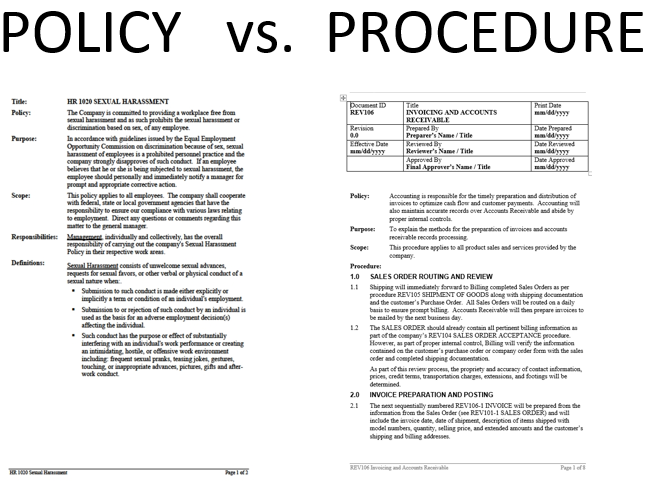 We talk about policies and procedures all the time, but you may be wondering what is a policy and how does it differ from a procedure? 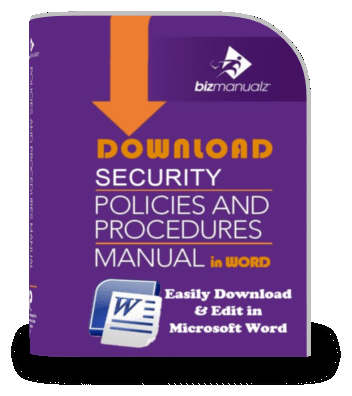 A policy is a guiding principle used to set direction in an organization. It can be a course of action to guide and influence decisions. It should be used as a guide to decision making under a given set of circumstances within the framework of objectives, goals and management philosophies as determined by senior management. But is it? There are really two types of policies. The first are rules frequently used as employee policies. The second are mini-mission statements frequently associated with procedures. A policy in a procedure acts as a mini-mission statement containing the customer of the policy, it’s purpose, and a key performance indicator (KPI) to communicate how users know the procedure is working. Accounts Receivable personnel shall ensure that all outstanding customer invoices are paid in a timely manner. In the Accounts Receivable policy you see the customer is the Accounts Receivable personnel. The purpose is to ensure outstanding customer invoices are paid and the KPI is a timely manner. The procedure needs to define what timely manner means. A timely manner could be 30 days today (net 30) and 20 days next quarter (net 20), which provides a process improvement objective of 33%. An employee policy is a business rule you put in your Employee Handbook. This includes things like no smoking, no drinking, and other business practices like dress codes, vacation policy, or your company’s codes of conduct. 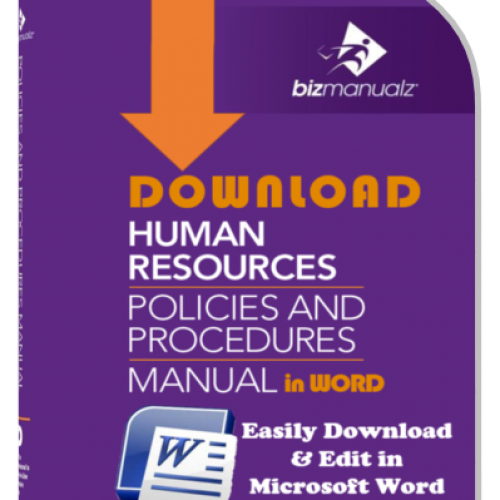 Clearly, employee policies are human resource policies about your office rules used to support your management philosophies. Employee policies are used to set a standard for projecting your company image or to communicate regulations that apply to all personnel. What kind of image are you projecting as a company? They typically come from top management as a result of interpreting the company mission and vision statements, laws and regulations, or industry standards and practices. Think of your procedure policy as a mini-mission statement. A mission statement contains the target user, the stated purpose, and some type of effectiveness measure to communicate how users know the procedure is working. Warehouse personnel shall count physical inventory on a frequent basis to ensure the accuracy of the general ledger balance. In the inventory counting policy you see the target user is the warehouse personnel. The business policy stated purpose is to count inventory. The effectiveness measures for the business policy are frequency and accuracy. 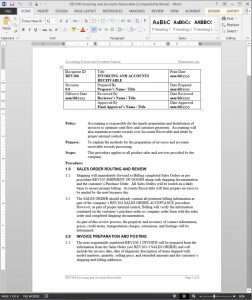 The procedures will need to define the actual frequency and accuracy amounts. In fact, the amounts could be objectives for process improvement if there are inventory issues. A procedure is a particular way of accomplishing something. It should be designed as a series of steps to be followed as a consistent and repetitive approach or cycle to accomplish an end result. Once complete, you will have a set of established methods for conducting the business of your organization, which will come in handy for training, process auditing, process improvement, or compliance initiatives. You can view free sample procedures at our samples section. Procedures provide a platform for implementing the consistency needed to decrease process variation, which increases procedure control. Decreasing process variation is how we eliminate waste and increase performance. Send the first notice-invoice immediately (same day) as the sale. Produce a receivables aging report. Send a second notice to all invoices outstanding for 30 days. Call all invoices outstanding for 45 days. Send a third notice to all invoices outstanding for 60 days. Call all invoices outstanding for 75 days. Send all invoices outstanding for 90 days to collections. A procedure could be something as simple as a checklist. The goal of a procedure is to provide consistency. Using simple checklists is the easiest way to begin to get consistency in your business. 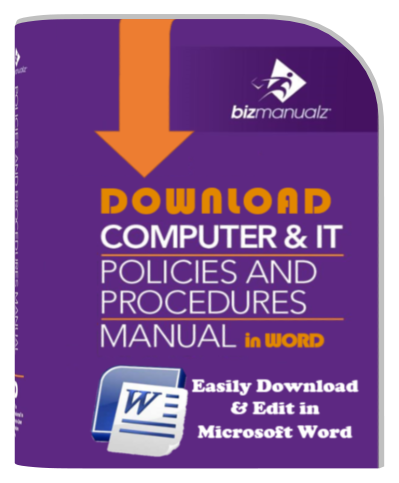 A policy is a guiding principle used to set direction in an organization. A procedure is a series of steps to be followed as a consistent and repetitive approach to accomplish an end result. Together they are used to empower the people responsible for a process with the direction and consistency they need for successful process improvement. 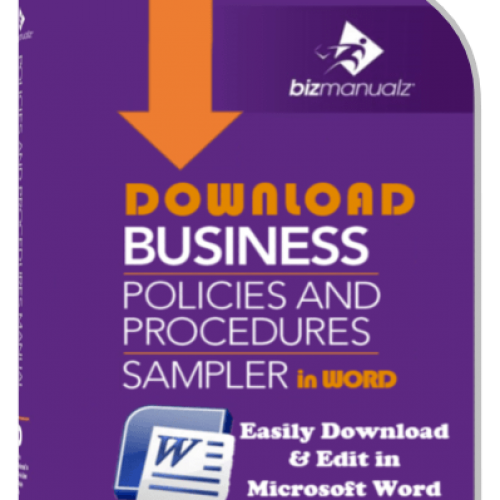 Are Your Policies and Procedures Ready? 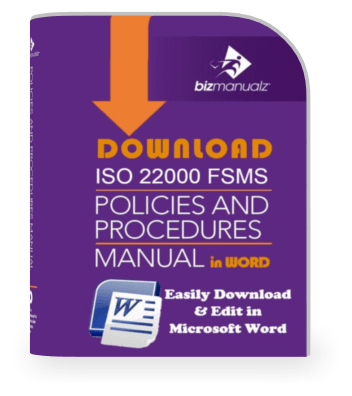 Writing policies and procedures statements can be difficult. Nobody likes to research best practices, determine what to say and then write the actual policy or procedure. So wouldn’t it be nice to have access to a library of policies and procedures? 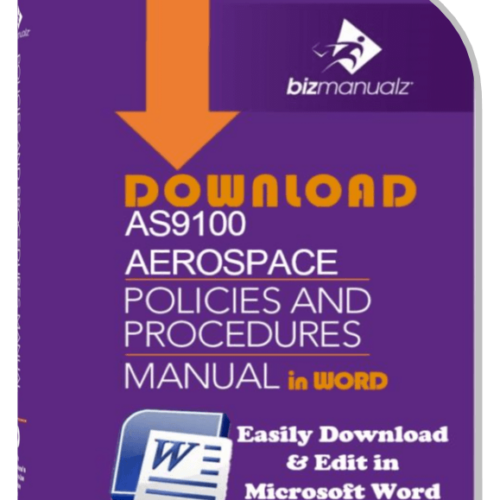 A comprehensive library that contains hundreds of policies and procedures, along with hundreds of supporting reports, forms, and job descriptions – Over 1,000 documents in all. 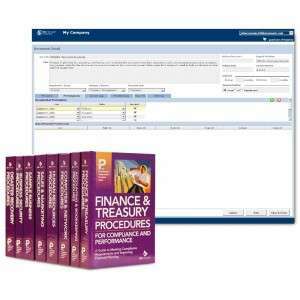 A library where all of the procedures have the same format. 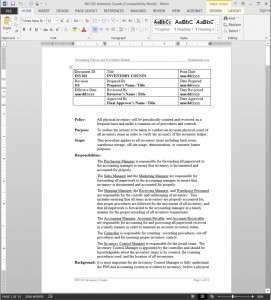 A library of editable MS Word templates that you could easily change if you wanted to change them. 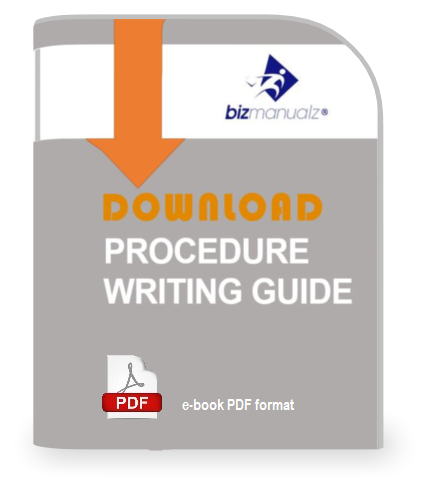 The procedures make complete “how to” guides for just about every business function you can think of, which are arranged in various company departments throughout the library. 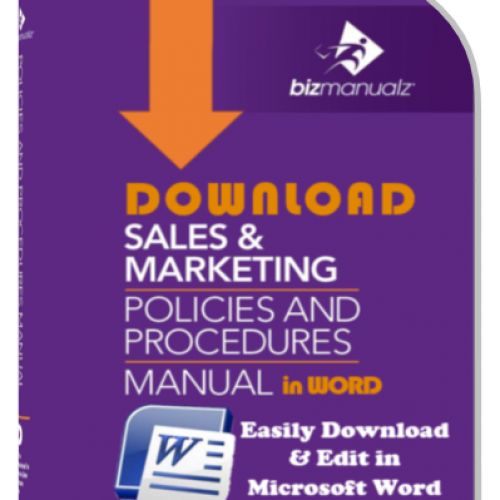 Then, in each department, there is a department manual which goes into detail about that business category. Yes, it is possible, and you too could have access to just such a policies and procedures library. 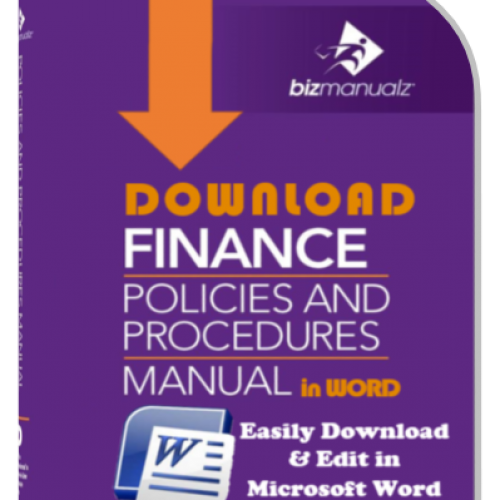 All you have to do is look through the Bizmanualz collection of Policies and Procedures Manuals. Find the department manual you need and the next thing you know…Your policies and procedures are ready! 2. Do you Know where i can get policies .and procedures for investing in property, light industry, agriculture, agro-processing and fisheries in developing countries. It is a challenge but I thought you may know sources. 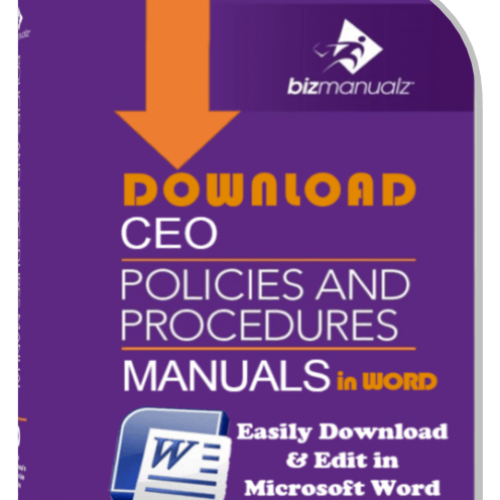 Yes, you can one buy the CEO bundle loaded into the Onpolicy software with a bundle price. I do not Know where you can get investing policies procedures for developing countries. Smaller markets are very specific and don’t justify the expense of creating them. good day, if i wish to use some of this information in an assignment… how can i refrence it? who was the author? The author is Chris Anderson, Bizmanualz Inc. You can reference it with a link.